(Everyone dreams) Even if you’ve always dreamed of owning a house or condo, and the home buying process can be intimidating. Everything from coming up with a down payment to finding the right lender, a number of considerations make the decision to rent vs. buy a complicated one. Whether you’re weighing the benefits of owning a home or preparing to find a lender, understanding the financial responsibilities and benefits of owning a home is essential. First, determine how much of your budget should be allotted to housing costs. Begin by number crunching using an online mortgage payment calculator. Knowing your spending limit helps when meeting with a realtor, browsing email listings (provided to you by a real estate broker) or searching for properties on the internet. Besides sticking t a specific purchase price, many experts recommend keeping in mind all of your debts combined as a percentage of your monthly income. When considering factors like the tax advantages of owning, it’s also important to think about necessary repairs and upgrades. If repairs and upgrades are required, consider reducing your overall budget, or understand the home will be a work in progress as you save money initially and then complete the work yourself over time. Most importantly, know your price limit for a home! This will cause less headache and stave off any potential financial woes in the future. For most, the equity earned and the tax advantages of owning make buying a home the smarter choice. Renting may work for those who move every few years or change jobs often. A seller’s market vs. buyer’s market may also play a role. However, for many, the financial and emotional rewards of home ownership are the deciding factors. A buyer’s agent is key in helping you avoid financial pitfalls during the home buying process. You wouldn’t turn to a non-professional to assist you with the most expensive purchase of your life! An expert realtor acts as a real estate specialist, providing information on areas you’re considering. As part of his or her fiduciary responsibility, this professional handles everything from dealing with the seller’s agent and explaining the broker’s agreement to helping you navigate a seller’s market versus. buyer’s market. He or she will be in your corner and best of all, the seller pays the commission, therefore no money coming out of your pocket as the buyer! When choosing a buyer’s agent, hire experience and knowledge to help you find a home that’s right for you and your budget. The first key step in purchasing a home is finding out how much to spend on a house. This comes before searching the Multiple Listing Service (MLS) via a real estate broker or even searching for homes on internet websites. A mortgage payment calculator is an easily accessible internet tool to answer the question, “How much can I afford?” Smart buyers will go beyond simply using a mortgage payment calculator when asking this question. These savvy shoppers frequently obtain a mortgage pre-approval letter to use as a bargaining tool with the listing agent. A lender will only provide such a letter upon proof of income, assets, available down payment and credit score. As any real estate agent will tell you, this document shows you’re serious and ready to buy, a huge plus to potential seller’s whose house you are putting in an offer on. The majority of sellers prefer a pre-approval mortgage letter, thus improving your chances of getting the home you want! Once you’ve decided to buy, it’s time to find a lender and get the help of a neighborhood real estate specialist. 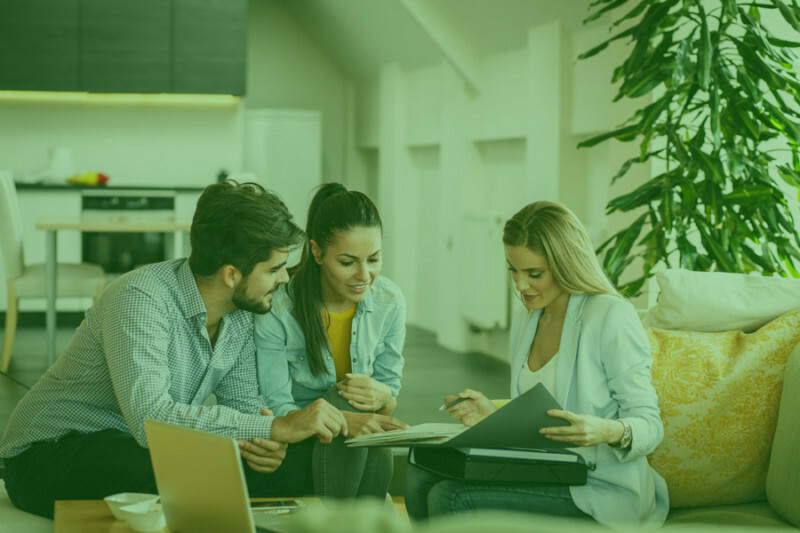 You may sign a broker’s agreement, but it bears repeating that you should hire experience when it comes to the person bearing fiduciary responsibility in the home buying process. Purchasing a home is one of the most important financial investments in your life! Choose an experienced real estate broker to guide you through the complex and competitive process. Ensure that the professional handling tasks like reviewing the Residential Purchase Agreement, home inspection, and buyer/seller disclosures are well-equipped for the job. Once you know you’re in good hands, you can start the fun part of buying a home; looking for your dream home! With a broker on your side, you are now on your way to browsing the MLS multiple listing service site and signing up for email listings of potential homes.